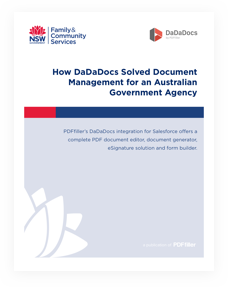 DadaDocs is everything DocuSign is, and More! Turn static documents into dynamic ones by adding smart fillable fields. 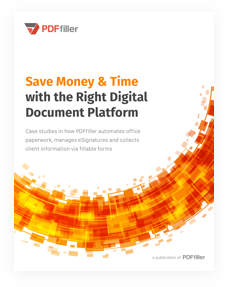 Get the document filled out, signed and save the collected data as an Excel sheet or import it directly into your CRM as a Salesforce object. 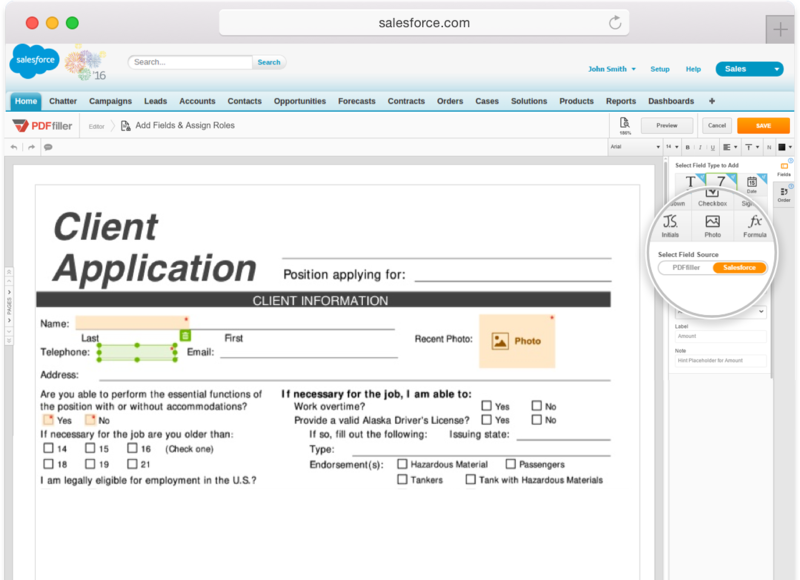 Save time creating business proposals and contracts containing data pre-filled from Salesforce objects. 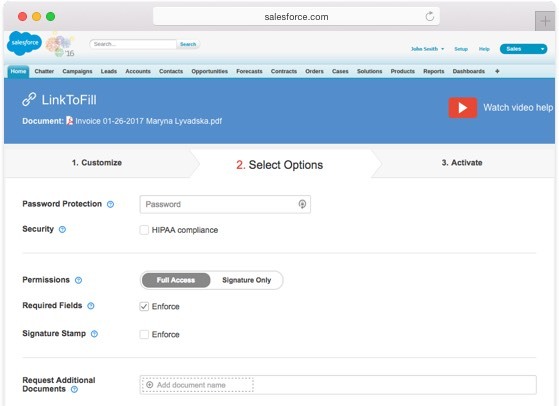 Easily connect fillable fields in your templates to the required fields in Salesforce and send the pre-filled documents out for signing or make them publicly accessible via a button or a link. 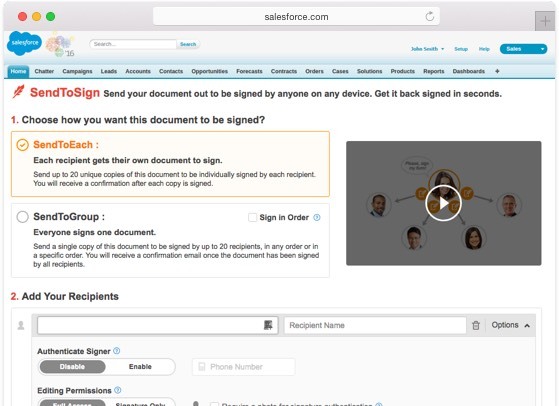 Complete a contract or proposal, send it out for signing to up to twenty recipients right from your Salesforce account and get the signed copy back in minutes. 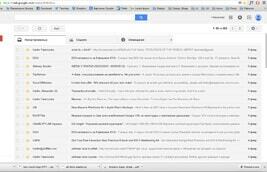 Close deals quickly with improved data accuracy. Ensure the confidentiality of your documents: secure a recipient’s access to documents with a four-digit PIN, 2-factor authentication and keep a record of the name and emails of recipients. 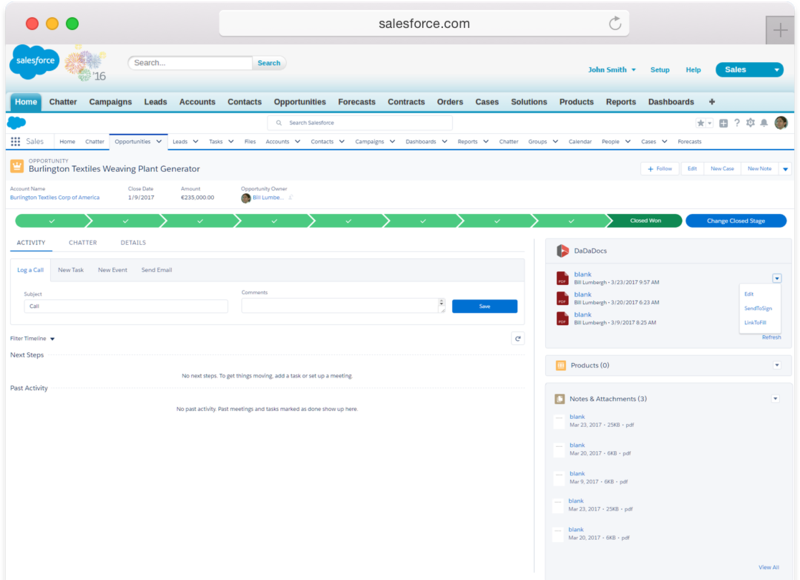 Enjoy all the advantages of the new Salesforce Lightning technology. 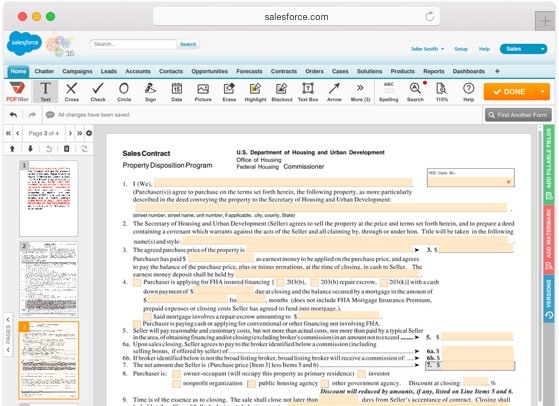 Use all the powerful features of the DaDaDocs editor, form builder and eSign solution with the Lightning Experience.